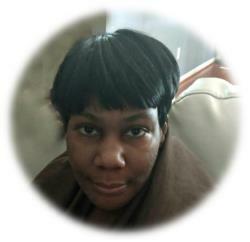 Yvette Anderson, 41, departed this life on Monday, December 24, 2018. Funeral service will be on Saturday, December 29, 2018, at Antioch Baptist Church, 1415 Holloway St., at 12:00 noon, visitation at 11:00 am. May God give you all comfort during this time and the days ahead. You all are in my thoughts and prayers. Dear family, Please have no doubt that God will remember her and keep her memory safe. He will surely be glad to bring her back to life in a perfect world when suffering will be no more and we will all welcome back our loved ones that are asleep in death. (Revelation 21:4 & John 5:28, 29) May our loving Father bring your family the peace and comfort only He can provide.